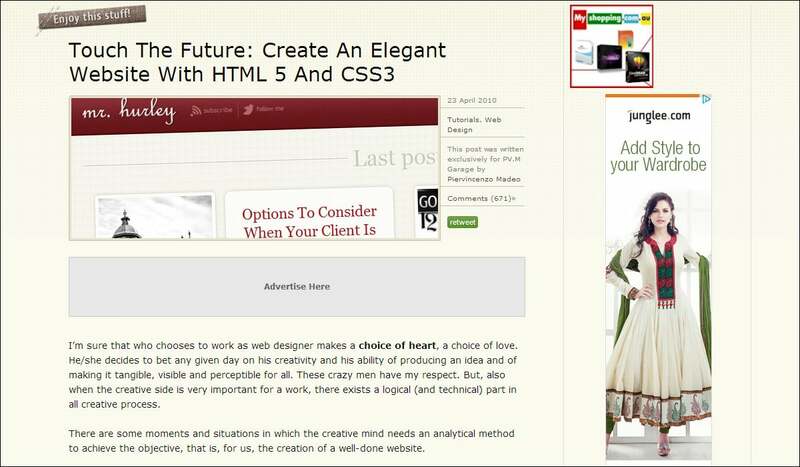 And HTML5 and CSS3 templates have helped us in a really big way to create our very own personalized websites. So here are a few top of the line HTML5 and CSS3 templates that even you can use to create that perfect website to suit your needs. You can also see News Channel HTML5 Website Templates. If you are on the lookout for a template that has a minimal design, then this template will definitely suit your needs. It comes equipped with an AJAX powered PHP contact form. Blogs are the in thing now, and if you are looking for a template that is going to help you create a blogging website, then go with this one. This template has a very attractive grunge look, and as far as design goes, it tops the list. If you want to create a website that will act as your portfolio and showcase your works, then you have come to the right place. 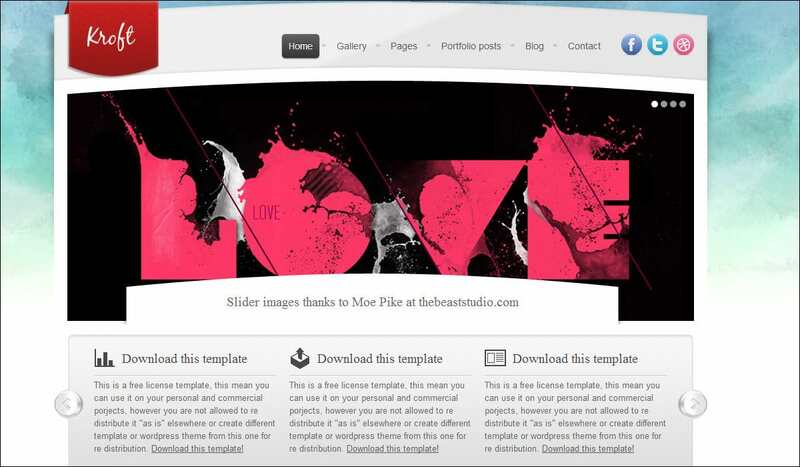 This template has a very catchy design and layout, and it showcases all your works in great detail and style. If you want a corporate style website, then this template will get you sorted in no time at all. It has a very colorful yet sophisticated look, and can support many custom fonts, not to mention that the template has its own gallery page. If you want some state of the art typography, then this template will not disappoint you. The design is minimal, but the layout is really very eye catching, and comes with a Home page, About Us page, Portfolio, etc. Magazine styled templates turn heads very easily, and one of the most popular type of templates that people prefer using are these magazine styled ones. This template comes with rounded corners, and the best part about this template is that it comes with an inner template! There are many blogging templates available in the market, but this one here is a bit better than the rest. It has a very clean design and layout, and it has been ported to WordPress, so the usability of this template reaches the farthest limits. 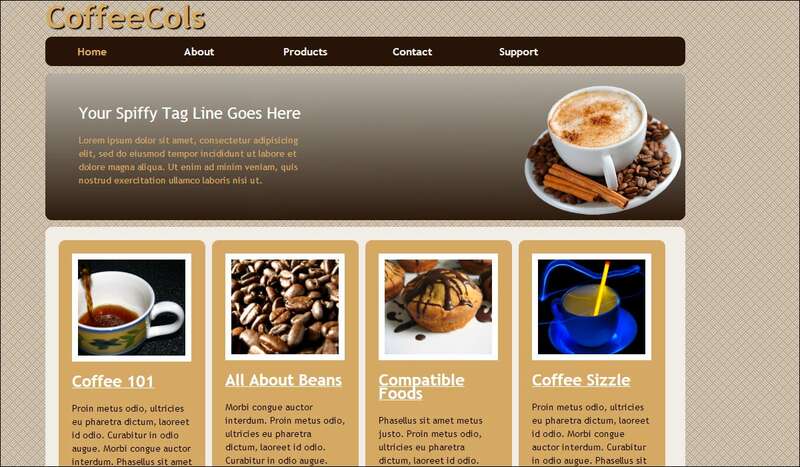 If you want your website to have a three column layout, then this template is the right one for you. The design is very attractive, and it is magazine styled, so be sure to try this one out. Minimal designing is this template’s niche. And it comes with an image slider which is there on the home page, and it is one column. This template comes with a fixed width, but there are five pages that you can use for almost any purpose, and it even supports and uses Google Fonts. 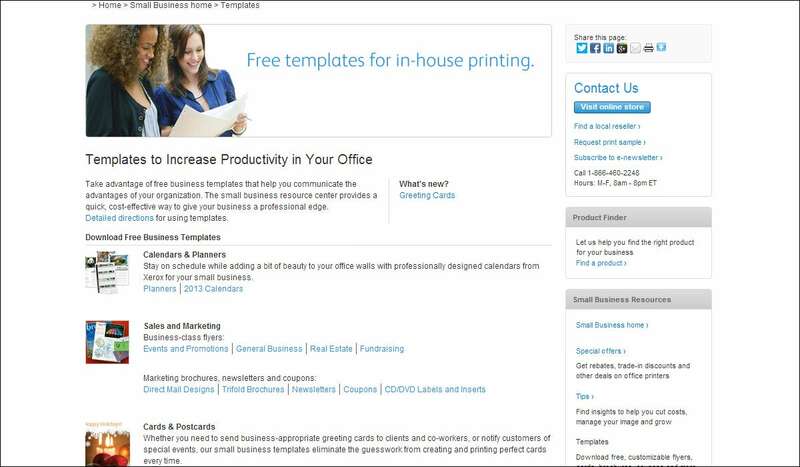 If you own a small business, then this template will help you set up shop online. It comes with a Services page and an about page, and can take your business profits through the roof. If you are on the lookout for a photography template, then this template is one of the best that you will find. It has a very nice homepage, and it lets visitors who come to your site to browse through pictures at the bottom of the page. If you want to set up a website that deals in news related to night clubs and events at night clubs, then this template is made for you. A very bright and colorful design sets a nice tone to it, and you can even download the Photoshop PSD file with it. If you want a website for the purpose of sharing recipes with others, then this template is the right one for you. The home page has a very attractive look, and it comes with a featured slider which is right on the home page. This template is packed with lots of cool features. 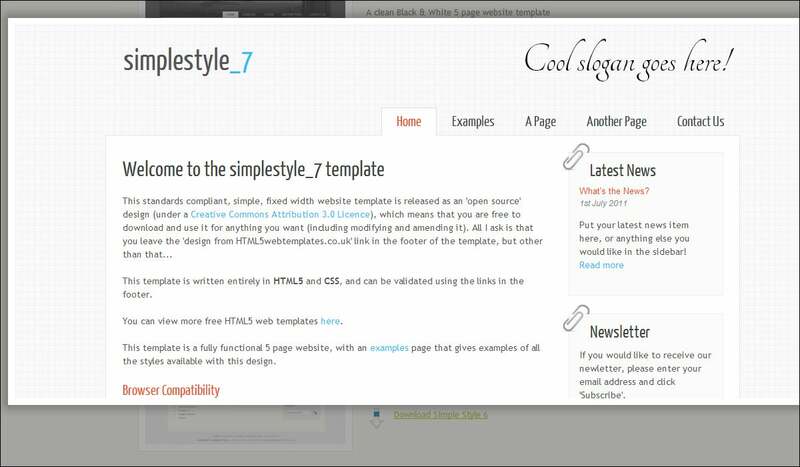 There is a JQuery slider which is situated on the home page, and a contact form which is built in. And you even get a lightbox for the images that are going to be there on your website. This is a fun little template that has many features and will satisfy your every need. And the best part is that, this template comes with a tutorial when you download it. If you want a corporate style, then this template has it all. A very clean layout gives this template a very sophisticated look, and it uses Google Fonts, and can even be used as a portfolio template. 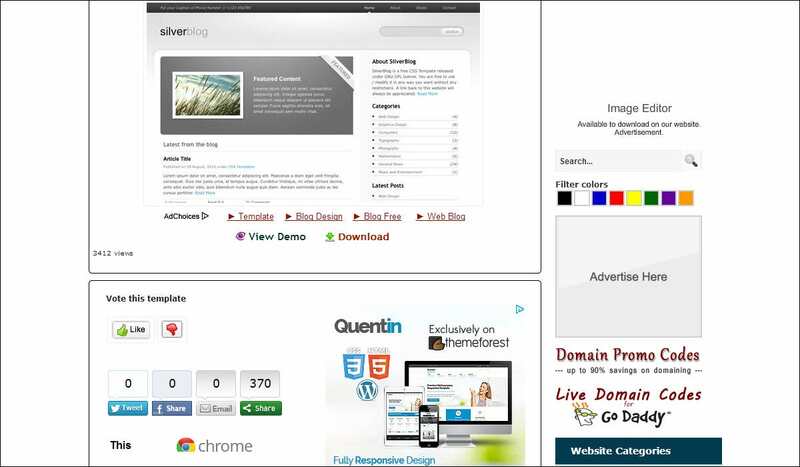 Small businesses need websites, and this template is especially made to advertise about small businesses. It comes with two columns, and is very simple compared to others, but its functionality is top notch. This template is a very simple one, and has a very eye catching yellow and black color scheme to it. It is a column template, ideal for a small business. 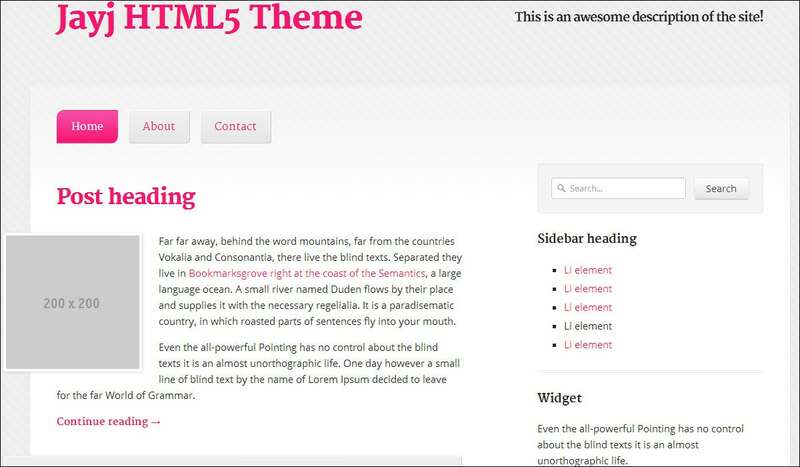 This template makes use of JQuery to slide from one page to another. It is a one page template, and is blue in color. The typography in this template is excellent, and there is a JQuery slider on the homepage of this template. This template is ideal for a restaurant website. 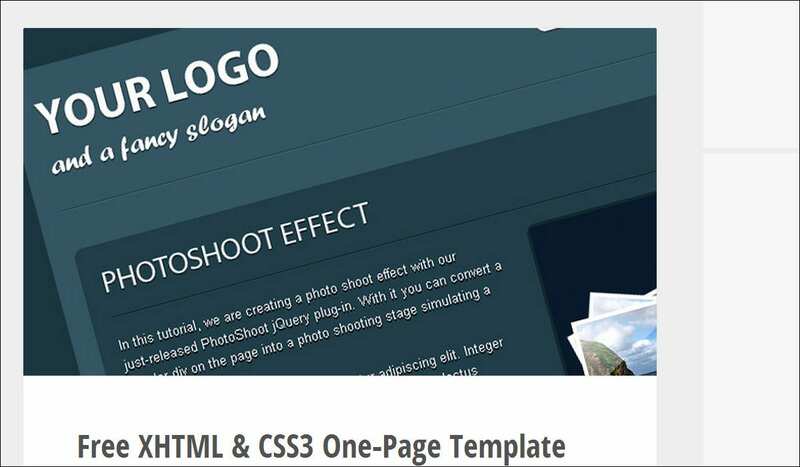 This template comes loaded with a lot of features, starting from five page templates and a contact form, to a featured post slider and a gallery for displaying images and also videos. This template is the bomb when it comes to creating a website, because you will get almost endless customization options. There are a whopping six page templates, and it even has a homepage slideshow, and it comes fitted with social media integration. And the best part is that, you can even download the Photoshop PSD file.